The Arctic Circle conjures images of bleak, cold, inhospitable landscapes, but also of beauty and mystery; of the Northern Lights, stunning scenery, secluded fjords and mountains. These are not images traditionally associated with football, but clubs in northern Scandinavia are forced to battle difficult conditions, remoteness and lack of resources to play the sport they love. Seasons in the Arctic are extreme in every sense. Winter is extended with sunlight in short supply and snow a constant, whilst the summer months are brief and sun-filled. In the winter snow and perpetual darkness not only limit everyday activities but also hinders the growth of grass, making participation at every level inherently difficult. Artificial pitches are expensive and far from widespread. As a result, football is a summer pastime by necessity: Scandinavian seasons tend to run from March or April to November to maximise playing opportunity. Everything is more difficult inside the Arctic Circle. Even population is against them. Northern Norway, despite being a similar size in terms of area to England, has a population of under 500,000 people, which includes numerous indigenous peoples. Lapland and northern Sweden have a similar demographic: a sparsely populated vast area with small, isolated inhabited centres. It all means that the Arctic Circle currently has just two top-flight football clubs across four European countries – both in Norway. A look at the football leagues of Sweden and Finland display a stark north-south divide; the further north you venture the thinner the population and football clubs become. The Arctic Circle has forcefully engendered a boundary – the north of Sweden and Finland, and the Murmansk Oblast region of Russia currently contain no top flight sides. 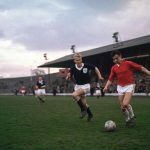 Geographical factors have conspired to make playing football in this region difficult – but as some of the stories of these sides show – not impossible. Norway may be the best representative of northern clubs in the region, but their inclusion has not been a given. Teams from Nordland, Troms and Finnmark, the regions that make up northern Norway, were not allowed to play in the Norwegian top flight, the Tippeligaen or Eliteserien (Elite League), until 1972. This was partly due to the belief that they could not compete to the same level as teams from the more populated south, but also because of the difficulties surrounding travel and conditions. For example, the distance between the most southern side in the 2015 Eliteserien, IK Start, to the most northerly, Tromso, was just shy of 2,000 kilometres, roughly the distance between Berlin and Moscow. Northern clubs are put at an immediate disadvantage. These are not big football clubs, yet geography dictates that they have to travel vast distances at great expense just to compete. Since admission in the 1970s, three Northern sides have played in the Tippeligaen: Tromso, FK Bodø/Glimt and FK Mjølner. Previously confined to competing in the Northern Norwegian Cup, the Northern sides have performed admirably in the top flight, achieving varying degrees of success along the way. However, northern sides are yet to overcome their numerous disadvantages to win the ultimate prize of the Tippeligaen. Alfheim Stadion, the clubs home ground, is fitted with artificial turf and underfloor heating after the challenge of maintaining a grass pitch was lost in 2005. The final months of the 2005 season had seen winter encroach, and by the end of that season, Tromsø’s pitch had turned into a muddy field. Criticism from other sides was particularly strong. After that season a plastic pitch became an essential aspect as tractors could be used to remove snowfall and make football playable, even in the early stages winter. Another challenge of being so far north is the darkness, which hinders day-to-day workings at the club. In the off-season the training conditions, arranging friendly matches and general administration far from straightforward. The climate also creates difficulties when it comes to attracting foreign and southern Norwegian players to the club. Tromsø, therefore, rely heavily on their own youth development system and its homegrown players are said to develop a natural toughness from their surroundings. However, like the league system the national team is understandably dominated by southern players. Thomas Drage, a 24-year-old attacking midfielder at Tromsø (and one-time winner of the fantastically named Polar Bear of the Year award), said in a 2012 interview that players from the north are handicapped when it comes to international recognition as the domestic media tend to focus on southern clubs. 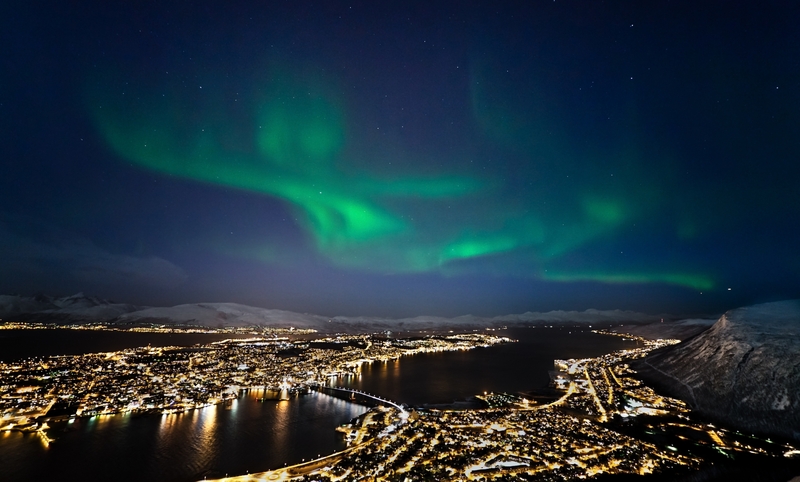 Despite their limitations, Tromsø have experienced various successes in their long history. The club has won two Norwegian cups – in 1986 and 1996 – and has recently competed in the Europa League. In the 2013-14 season, despite being relegated from the Tippeligaen, they took on Tottenham, oil-rich Anzhi Makhachkala and Sheriff Tiraspol of Moldova, but exited in the group stage. Over the years Tromsø have collected the scalps of European giants Chelsea, Beşiktaş, Galatasaray and Red Star Belgrade on their artificial surface at the Alfheim Stadion. After promotion from the Norwegian first division last year they will compete in the Tippeligaen in April, hoping to once again challenge southern dominance and reach the European places. FK Bodø/Glimt are another northern Norwegian side who have managed to buck the trend. They are situated in Bodø, just north of the Arctic Circle, two-thirds of the way up the Norwegian coastline. Like their northern neighbours they also make use of artificial turf and underfloor heating to combat the adverse weather conditions. They have also won the cup competition twice but have not competed at the top end of the Tippeligaen in recent times, finishing just above safety in the 2014 season, having been promoted the season before. Glimt do, however, have a brilliant and distinctive fan base known as The Yellow Horde, who carry giant yellow toothbrushes with them to support their side. Another shining light in Arctic football is Medkila IL, a women’s side from Harstad, 300 kilometres south of Tromsø. Their continued presence in the top Norwegian league is perhaps more remarkable due to remoteness, but also financial pressure. The club travel thousands of kilometres every other week during the Toppserien season, yet the nature of women’s football means they receive very little income. Medkila have staved off relegation in the past two seasons, outperforming richer, better equipped sides. Northern Norway may contain some positive examples of clubs overcoming adversity, but others in the Arctic Circle have not been so fortunate. Murmansk is by some distance the biggest city north of the Arctic Circle, but its population is in steady decline. The city is an important shipping and fishing centre and is well connected to the rest of the country via motorways and train links, but even still it is remote. Last year the city’s football club, FC Sever Murmansk, folded due to bankruptcy. Sever were a fixture in the Russian second division but its main sponsor, the regional government, failed to provide enough funding to keep the club afloat. 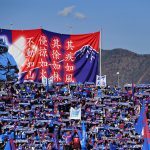 The club’s plight is indicative of the struggles of football in the Arctic: financial pressure amplified by the remote nature of the club and the difficulties from the conditions. In reality the likes of Tromsø, Bodø/Glimt and Medkila IL are exceptions to the rule; stand-out successes in a fundamentally harsh environment to play football. FK Mjølner and Harstad IL, both from Norway, are more representative of football in the region. Both clubs have previously competed in the Norwegian top flight, but have since been shackled by their geographic isolation, financial pressure and testing physical conditions. Other towns in the region reflect their tiny populations. For example Kiruna FF, from one of the biggest towns in northern Sweden, play in the fifth tier of Swedish football. Northern Finland is even more desolate when it comes to football. After all, how can a place with under 25,000 people be expected to compete against more populous, better equipped southern neighbours? All of these examples serve to make the success stories even more remarkable; small town clubs defying a severe environment, geographic isolation and financial disadvantages to compete. It may be cold and remote but there are still Northern Lights shining through the guise of football in the Arctic Circle.